It’s a Mad, Mad World banking system! Rates reduced to 0.5% and Quantitative Easing measures to boost economy to be ‘tried’ by pumping £75 Bn into the economy! The Bank of England ‘hopes’ the banks will pass this money onto the public by lending more to individuals and businesses! 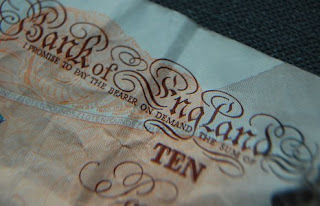 On a bank note it states “I promise to pay the bearer on demand the sum of……”. What that means is, the bank has pledged to the holder of that note, that on demand, they will give to the holder, the value stated on the note in gold or coinage. A bank note is merely an IOU. Do they have any value left to offer and do you hold many worthless IOU’s? The Bank of England has cut interest rates to 0.5% – a fresh all-time low – and says it will now boost the money supply to help revive the economy. Interest rates have now been reduced six times since October, and the latest half a percentage point cut from February’s 1% had been expected. The Bank said it would expand the amount of money in the system by £75bn in an attempt to boost bank lending. This policy, so far untried in the UK, is called quantitative easing. Instead, it will buy assets – such as government securities (gilts) and corporate bonds. At least the Americans have the right idea! 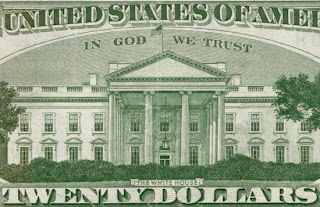 “In God We Trust” – start praying!! !